Hey DJ! 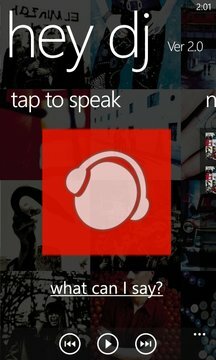 for Windows Phone is a hands-free music player that allows you to play music using your voice. 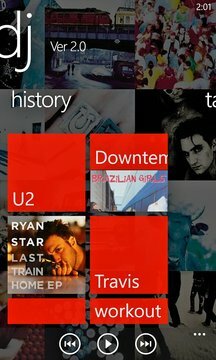 Just say the name of the song, artist, album, genre or playlist you want to play and it will begin playing right away. Try it while driving or walking, you'll love it!